One Saturday afternoon, I felt badly for my college buddy, Dennis (a fictitious name). He was only in his early forties and was facing some pretty serious health issues. He stands at 5'3 or 5'4 and very much overweight. A few years prior, Dennis was diagnosed with diabetes. And now, I was visiting him in the hospital because of a heart attack and a stroke. Don't worry, I reckon it wasn't life threatening. Dennis was wide awake and alert when I entered his hospital room wearing a well-fitting shirt, loose fitting denim slacks, newsboy cap and sunglasses. I looked like the epitome of health and fitness, while Dennis's body entertained a host of tubes and needles in his hospital bed. I could've only hope to be an inspiration to him. Entering his hospital room, I found his wife, Alicia; brother, sisters and some other relatives. We engaged in some lively conversations until they all had to eat dinner or go home for some much needed rest. After his family had vacated the private room, Dennis decided to ask me a few questions. "The gym," I replied with a hint of sarcasm. "That figures," offered Dennis. He continued, "I'm getting hungry. What are you eating for dinner?" "You know - sometimes I just can't stand you," Dennis said. With a smirk on my face, I said, "I know right. I was trying to give some subtle clues to help you." Dennis mumbled, "It didn't sound too subtle to me." Days later, my college buddy was released from the hospital. I made my way to his house for another visit. Our mutual friend, Mike Boswell, wanted to come along for the ride. Now, sitting in Dennis's living room with Alicia in the kitchen frying chicken; I was greeted with a wet kiss from Sandy, the dog. Alicia yelled, "Hello!" over the sound of boiling grease. "She must be trying to kill him with fried chicken and grease," I whispered to Mike. Moments later, Dennis yelled in return, "Hey Alicia! Bring Charles and Mike some fried chicken, bread and some cherry kool-aid, too!" "Charles, you look like you need some grease," offered Dennis. "At least I haven't had a heart attack or a stroke," I retorted as Mike laughed, silently. Interrupting our witty exchange, Alicia arrived with a plate of hot fried chicken, white bread and cherry kool-aid for Mike and me. It had been years since I ate white bread and drank kool-aid. I do love a piece of fried chicken, though. After we had finished our snack and watched a television program, Dennis's mood became a bit more somber. He gathered his thoughts and made an announcement. "Charles, you know I'm taking 'happy pills.'" "The doctor said that stress caused my heart attack and stroke from being on disability and having limited income," he replied. "It wasn't because of your weight and height?" "So, you are gonna have to be nice to me. 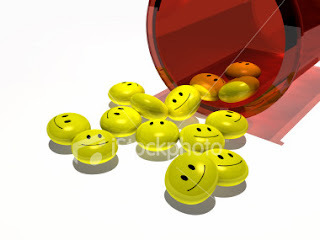 When you are not nice to me, I get stressed and then have to take those expensive 'happy pills,'" Dennis offered. He continued, "I don't want to keep taking those expensive pills every time we talk. I don't have that much money. So be nice, Charles." "Nice? How long do I have to be nice to you?" I asked, drinking my cup of kool-aid. Secretly, I was hoping that Dennis had not poisoned my cherry drink. "For the rest of my life," replied Dennis. In shock and amazement and spitting out my drink, I asked, "For the rest of your life? How much longer do you have left to live? I'm gonna have to pace myself with this 'nice' stuff - if that's the case! It isn't my forte!" as I released a deep, guttural laugh. Mike decided to join me in laughter. Releasing a deep and heavy sigh, Dennis replied, "I just can't stand you," as I continued laughing. Now, Dennis's health has not improved over the last few years. And, after reading the local newspaper and Internet, it appears that Dennis has had a few "skirmishes" with the law. I may have to share that at some other time in the future. I have to wait until the judge bangs the gavel, first. It's sort of funny - in a weird, demented, twisted sort of way. Well, until next week, keep praising His name!